Scanned photograph showing the caterpillar tractor and attachments used in reclaimation work at Knockglass croft Skelbo street in the early 1960's. 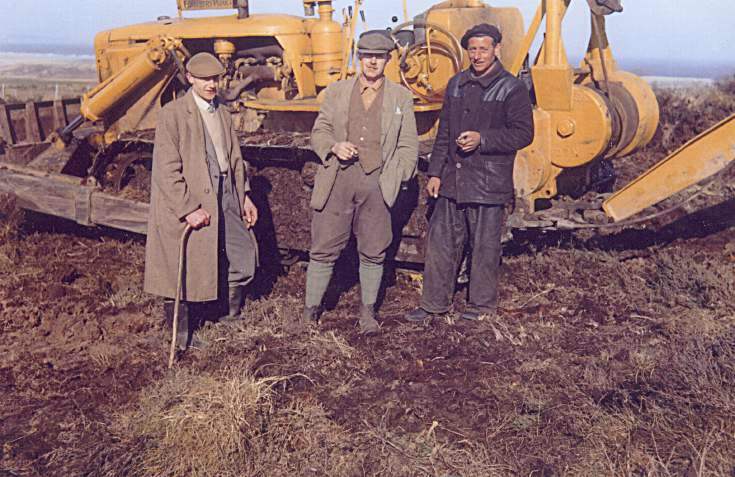 Also in photo are John Sorley, Caterpillar operator and Dafs officer.The caterpillar and reclaimation plant was owned by Andrew Allan, Callander Perth. Never thought I'd see my grandfather on the internet. (John Sorley).